La Revue du Vin de France is one of France's leading monthly wine magazines. 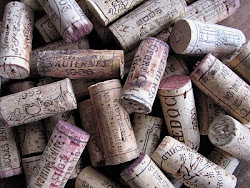 We subscribe to it and love pouring over the pages filled with news, articles and dozens of wine reviews. The December 2013 edition featured a review of the Bordeaux 2004 vintage with the headline- "They are at their peak, start to drink them!" To celebrate we are offering a discount on 2 reds from the 2004 vintage. Anyone going to the DiscoverVin site from this blog can use code BDX04 for a 15% discount on these wines (minimum order 6 bottles in total- can be 3 or each). Click the links to the wines below. Be quick. Limited stocks. In summary the article says it was "a generous/good volume harvest but the level of maturity was not optimal. At their birth the 2004 Bordeaux in barrel samples, didn't enthuse the critics. Retasted 10 years later in bottles, it amounted to the following: agreeable/nice reds, disappointing dry whites and premature evolution of the Sauternes". After the hot and dry year of 2003, 2004 was cooler and wet. The cool and wet finish to the harvest led to a "level of maturity not always optimal' . 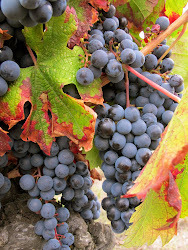 It was a late harvest and in many cases the grapes suffered from dilution due to the moisture. This appears to have been more of an issue for the dry whites and the sauternes which are showing early ageing and need to be consumed if not done so already! 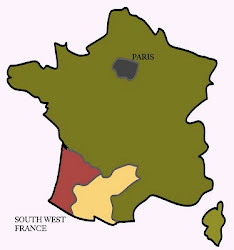 The reds have done better- with the right bank St Émilion and Pomerol, described as "pleasure wines" ready to drink with round, perfumed with typical merlot characteristics but often with firm tannins. 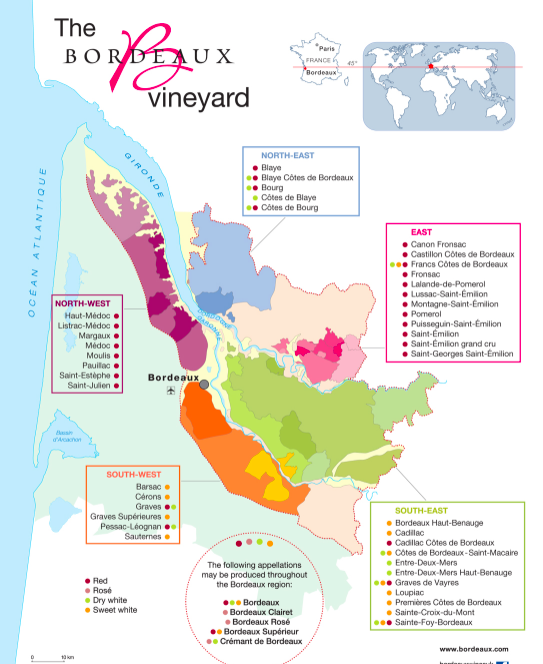 The left bank, prime slow-ripening cabernet terroir, seems to have done best, especially the reds of Pessac-Leognan on the southern outskirts of Bordeaux, and the Reds of the Medoc, stretching along the Gironde estuary to the north of the city. The 2004 left bank reds are ready to enjoy. They can be kept for several more years without a problem but are currently drinking well. Optimally they would benefit from a couple of hours in a carafe (the oxygen softens the tannins and reinvigorate the fruit). Similarly the Bordeaux Index after reviewing wines from the 2004 Vintage on March 13 2014, said "In the main these are delicious, bright, medium-bodied and digestible clarets. They have an extremely pleasant aromatic profile, with enough ripeness to accurately show their regional and vineyard characteristics; when the fruit was able to sufficiently ripen and the grapes were delicately and sensitively handled, the palates are also extremely satisfying: soft and seamless but with both a firm tannic structure and balanced acidity. The best examples have a solid weight of fruit on the mid-palate which helps along with the acidity to provide medium to long and often multi-layered finishes. The best of the wines yesterday – which weren’t necessarily the biggest names or most highly prized bottles – were genuinely delicious. They also have the benefit of being, in the main, very good value." Victoria Moore in the Telegraph (UK) April 2014 also wrote about the value and the merits of the Bordeaux 2004 vintage compared to recent releases. DiscoverVin has 2 Bordeaux left bank reds from the 2004 vintage. These are available online or to trade. They are both drinking at their peak as the article suggests. They will last for several years but why wait when one can enjoy mature Bordeaux at its peak! A great value example of the power, finesse and elegance of the Médoc. The Lanessan vineyard has belonged to a succession of eight generations of the Bouteiller family since the 18th century. 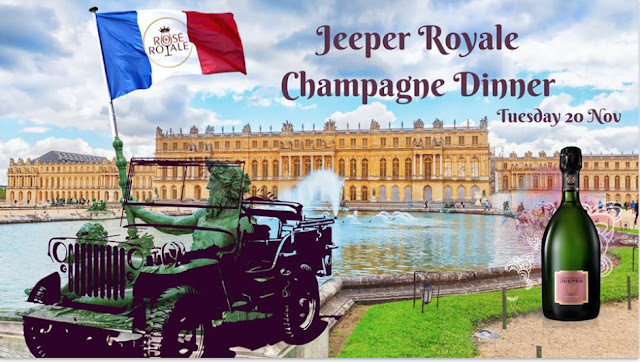 Made up of 45 hectares (111 acres) of vines that form part of a larger 80 hectares (198 acres) estate on one single plot. The Lanessan vineyard is located in the commune of Cussac-Fort-Médoc, close to Saint-Julien, in the Haut-Médoc appellation area and runs east to west along a fine ridge of deep Garonne gravel. The average age of the vines is about thirty years. Grapes: Cabernet Sauvignon (60%), Merlot (36%), Petit Verdot (4%). Wine making: Grapes are picked at optimal ripeness and hand-sorted to ensure only optimal grapes used. The wine is made in thermo-regulated concrete tanks and aged for 12 months in French oak (⅓ new). Cellaring potential: This wine is already drinking at or close to peak. A chance to enjoy aged Bordeaux now, but will last for several more years to come. Our Tasting notes: It was such a pleasure to find this parcel of aged Bordeaux. We bought some of the last remaining cases! It is a great value example of the power, finesse and elegance of the Médoc. A classic claret nose with fruit, spice and developed meaty notes. Luscious mouth filling fruit, good balance and fine softened tannins. It has a lovely structure and length. Fast forward to 2014 time’s up! Time to enjoy! Château La Tour Carnet has its origins in the 12th century and is the oldest castle in the Médoc. It includes a medieval tower built in 1120 and is surrounded by a moat! The vineyard of Château La Tour Carnet has been established in the year 1407! Legende La Tour Carnet is the second wine from the Château which has had a resurgence since 2000, when it was purchased by Bernard Magrez. Vineyard practices have been modernised and consultant winemaker Michel Rolland consults to the winery team. "Showing the petticoats under the frock, there’s complex secondary aromas of older leather and tobacco and meat shadowing the black fruits, violets, tomato leaf and tobacco. The palate still long and exquisite. Class. Olives and blackcurrants and savoury lift given from dried herbs. Those rocks..those hot hot rocks under the vines, they’re there too, with a earthy/mineral quality that assists in the palate length. This is a very smart wine that is smack bang at the height of its power." Grapes: Cabernet Sauvignon (55%), Merlot (35%), Cabernet Franc (10%). Soil: The area is characterized by a land base of strongly calcareous clay covered with a thick layer of serious gunziennes forming the famous "Butte de La Tour Carnet". (We realise that this is probably too much information but, Gunzinennes (or Guntzian gravel), in case you want to know, refers to the large pebbly gravel distinctive to the terroir of Médoc and is well suited to the cabernet grape. Gunz refers to a glacial geologic period in the Plesitocene era!. Bottom line - this is a great location to grow grapes! Wine making: Grapes are hand harvested in small crates with the first selection occurring in the vineyard. The grapes are again sorted by hand, before and after de-stemming. Vinification occurs in stainless steel vats with cold pre-fermentation maceration at 12 °C. Fermentation occurs at low temperatures (28°C) with maceration occurring over 35-45 days. Malolactic fermentation occurs in barrels. Our Tasting notes: We were impressed with this wine in a line up of many wines from the Médoc. Complex nose of red and black fruits, some minerals and spicey notes. On the palate, rich complex fruit, raspberries, blackberries, blackcurrants, with minerals and tobacco. Big but soft and integrated tannins.